This is the first mercy petition to be decided by President Kovind — it is learnt that detailed consultations were held over 10 months. Incidentally, the case is from Bihar where Kovind served as Governor before taking over as President last July. Incidentally, the case is from Bihar where Ram Nath Kovind served as Governor before taking over as President last July. President Ram Nath Kovind has rejected the mercy petition of murder convict Jagat Rai whose death sentence was upheld by the Supreme Court almost five years ago. Along with his accomplices, Jagat Rai was convicted of killing five children and the wife of one Vijendra Mahato by setting their house on fire while they were fast asleep on the night of January 1, 2006 at Rampur Shyamchand village in Vaishali district of Bihar. In September 2013, the Supreme Court upheld the death sentence for Rai, ruling that the gravity of offence was such that this case fell into the category of “rarest of rare” cases. Officials in the Ministry of Home Affairs told The Indian Express that Rai’s mercy petition was sent last year to then President Pranab Mukherjee who could not, however, take any decision since the process to elect the 14th President had been initiated. By the time he demitted office last July, President Mukherjee had decided on 34 mercy pleas — he rejected 30 and, in four cases, granted pardon. His record of rejecting mercy pleas is second only to President R Venkataraman (1987-92) who declined 45 mercy pleas. President K R Narayanan (1997-2002) did not act on any mercy petition while his successor President Abdul Kalam (2002-2007) disposed two mercy pleas. President Pratibha Patil (2007-2012) commuted sentences in 34 mercy pleas and rejected only five. 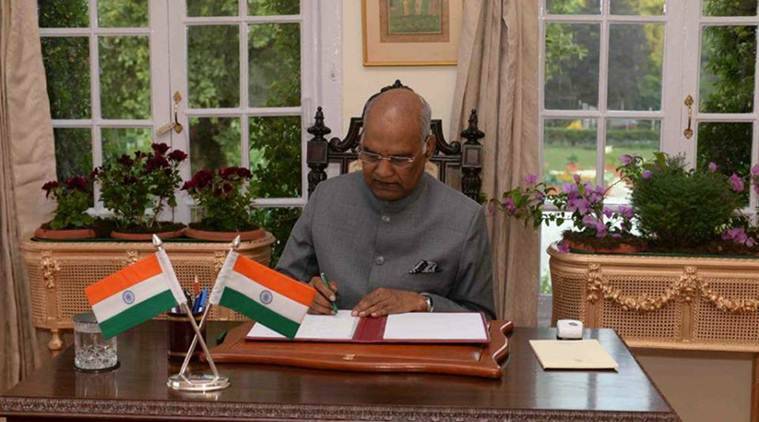 Officials said President Kovind studied Rai’s petition and rejected it only after seeking legal opinion and consultations with the Home Ministry. According to the prosecution, Vijendra Mahato had to pay a heavy price after he refused to withdraw a police case against Jagat Rai, Wazir Rai and Ajay Rai. He had accused them of stealing his buffalo. On the night of January 1, 2006, when Mahato’s wife Baby Devi, sons Suraj, Anil and Rajesh and daughters Poonam and Neelam, were asleep, their house was torched by the accused and their associates. Mahato escaped with serious burn injuries but died later. Before his death, he deposed in court. After the incident, Chief Minister Nitish Kumar rushed to the spot to calm the village. RJD chief Lalu Prasad too visited the village. An FIR was filed against Jagat Rai and others on charges that included murder, attempt to murder, trespass, punishment for rioting, wrongful confinement, mischief by fire or explosive substance with intent to destroy house.